Lily House is the centre house of three, architect designed houses in one of the oldest parts of the town. 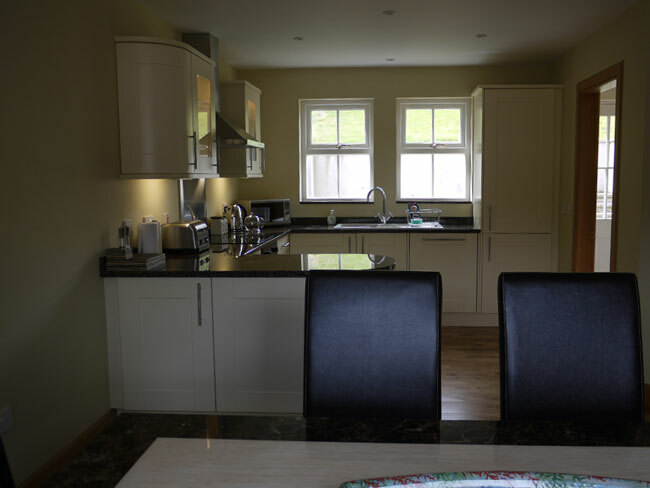 They have been sympatheticaly built to mirror the older style houses in this quiet little gem of an area, yet, just off the High Street, which means you are still in the hub of town. 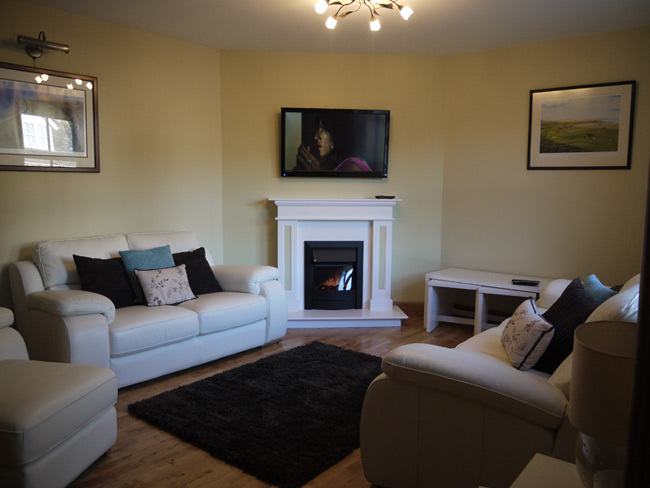 Its strolling distance to Royal Dornoch's 2 Golf Courses and a further few minuets to our award winning beach. Shops, resturants, pubs & cafes are all within easy reach. You can even look out of your front door and see the time on the beautiful 16th century Cathedral, made even more famous by Maddonna & Guy Richie, having their son Christened and then being married at near by Skibo Casle. Even Dawn French has given our minister a dog coller from the 'Vicar of Dibley' to the 'Vicar of Dornoch'. The house it's self is imaculate, newly finished and furnished in June 2012. It has every comfort you could wish for. 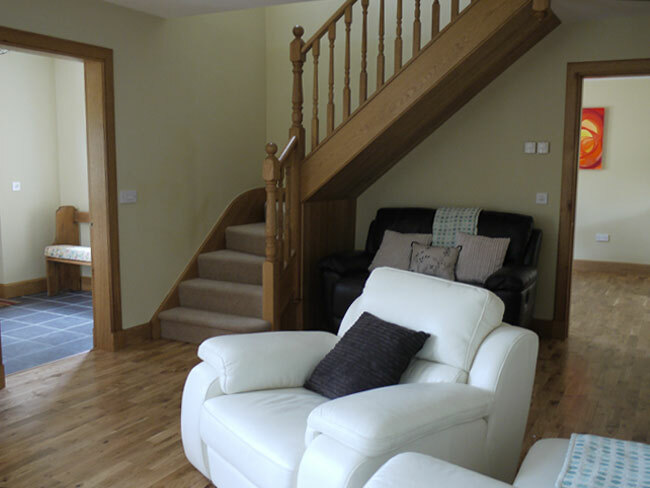 Warm oak doors, skirtings & staircase & oak lined floors through out the sitting room, kitchen & diner. 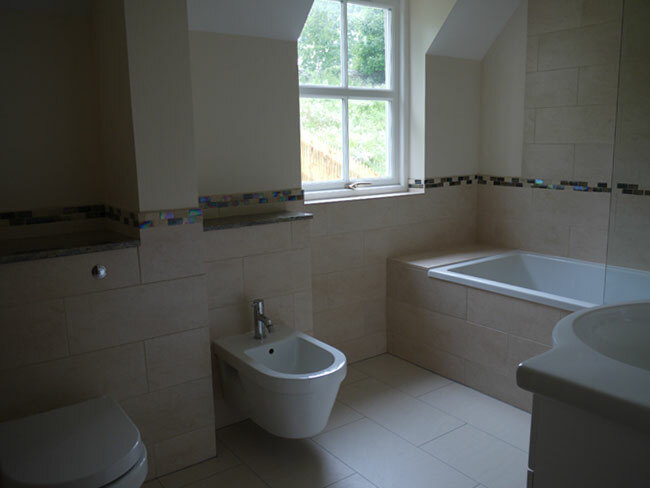 Under floor heating through out gives the house a cosy warm feeling. 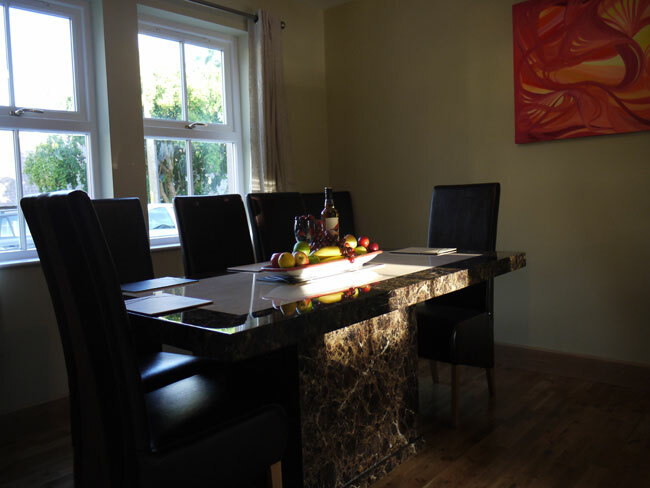 The dining area has a stunning granit dining table & eight leather chairs. 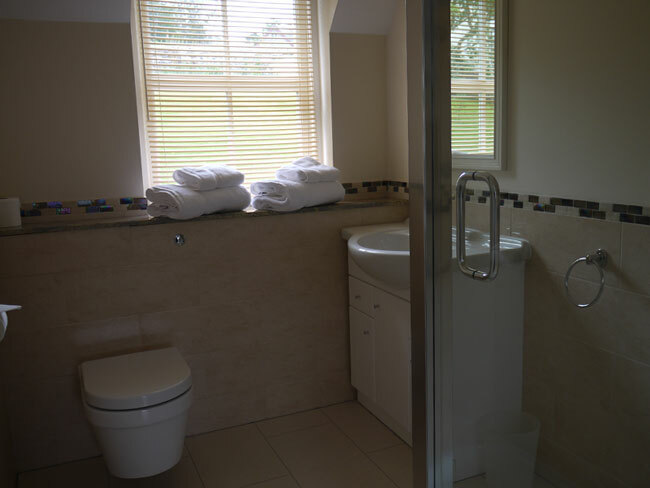 All of our beds are 6ft super-king, which also split into 3ft singles with 2 en-suite bathrooms (one on the ground floor) and a large family bathroom on the first floor.Again, the whole of the upper floor has underfloor heating. 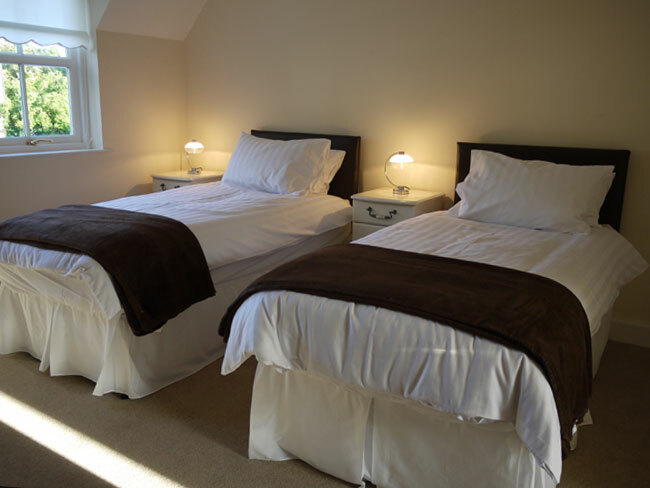 All of the bedrooms are carpeted for your comfort. Each bedroom has it's own free View TV with built in CD player. There is also a clock radio alam which incorperates an ipod dock. There is a neat lawned garden for relaxing on a fine evening. We offer you Sky TV (including sports) Free Wi-Fi.